Social policy is central to social work practice. This textbook is designed to help students, practitioners and academics think critically about the relationship between policy and practice; particularly in how policy both structures and informs practice. Reflective questions help critical thinking and links to websites of substantive information across the UK and internationally help keep you up-to-date with policy developments. The authors' experience and skills in working with different service user groups combine to provide a constructive and critical approach to working with social policy in an era of welfare retrenchment. Key topics include: discretion and practice; social work training and education; safeguarding children; responses to the needs of looked after children; personalization in adult care; 'race' and welfare policy; domestic violence; mental health and capacity; and comparing social work and social care internationally. 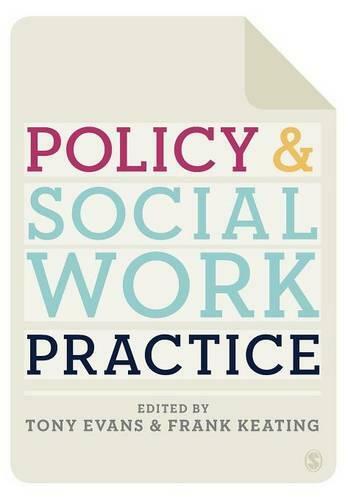 This book explores in a really thoughtful and accessible way the vital but curiously neglected subject of the relationship between social policy and social work. It contains contributions from highly respected national and international scholars and is a really strong contribution to this area of study.